Washing machines, dishwashers, refrigerators, ovens: We rely on our appliances for so many things. When something goes wrong with one of them, you want fast and effective repairs you can trust. Mr. Applaince of Magic Valley will be there to solve the problem and return you to your normal routine just as soon as possible. Our professional technicians repair laundry room and kitchen appliances of all types and brands. We’ll provide you with an upfront price quote for the job, so you’ll know exactly what to expect once we’ve finished. We don’t charge by the hour, so you can trust that we’ll complete your repair quickly and effectively. Contact us today! Our team at Mr. Appliance comes to you highly trained and courteous. We deliver expert repair and then leave your home as clean as we found it. For minor troubleshooting to bigger fixes, we take on jobs big and small. We are available to service residential and commercial appliances of all sorts. We service all major brands, including Amana, Whirlpool, Kenmore, General Electric, KitchenAid, Samsung, Electrolux, Frigidaire, and so many more. 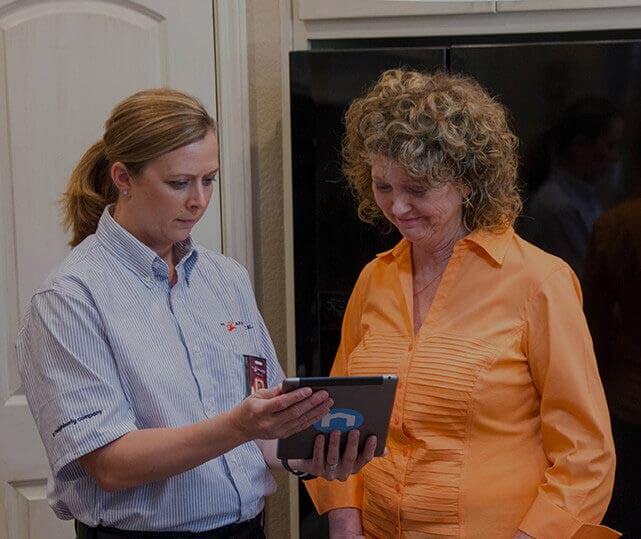 Contact our experts today at (208) 932-4520 for fast and effective appliance repair in Twin Falls and Magic Valley!